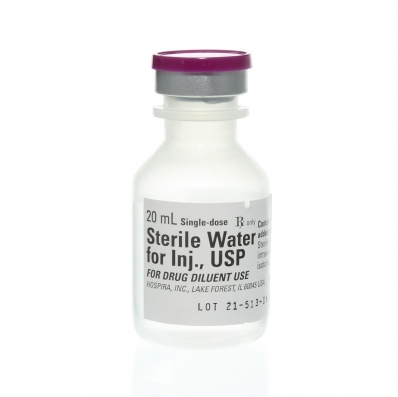 Sterile water in a 20ml single dose plastic vial. 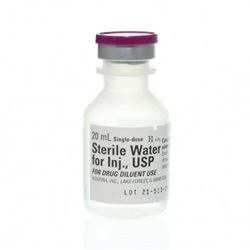 Preservative free diluent used for injections. NDC: 00074-4887-20. Manufactured by Hospira. Comes 25 vials per case.